After a long winter, spring is finally here. For many, that means throwing open the windows, a thorough cleaning and reorganizing those oft forgotten spaces in your home. It’s also a great time to freshen up your home’s décor, and one of the easiest ways to do that is with Carmel drapery styles that reflect the fresh and upbeat spirit of the season. 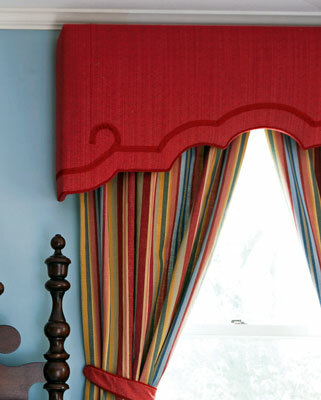 During the winter, many homeowners and apartment dwellers find themselves using curtains and drapes that create a warm, cozy space – sometimes literally! Insulated and blackout style Carmel drapery look great in warm winter colors, and can help to keep your space more comfortable while saving on energy costs. 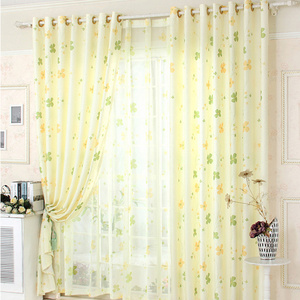 However, in the spring, when cool weather is no longer a concern, most people no longer want heavy drapes that are blocking breezes and interfering significantly with natural lighting. 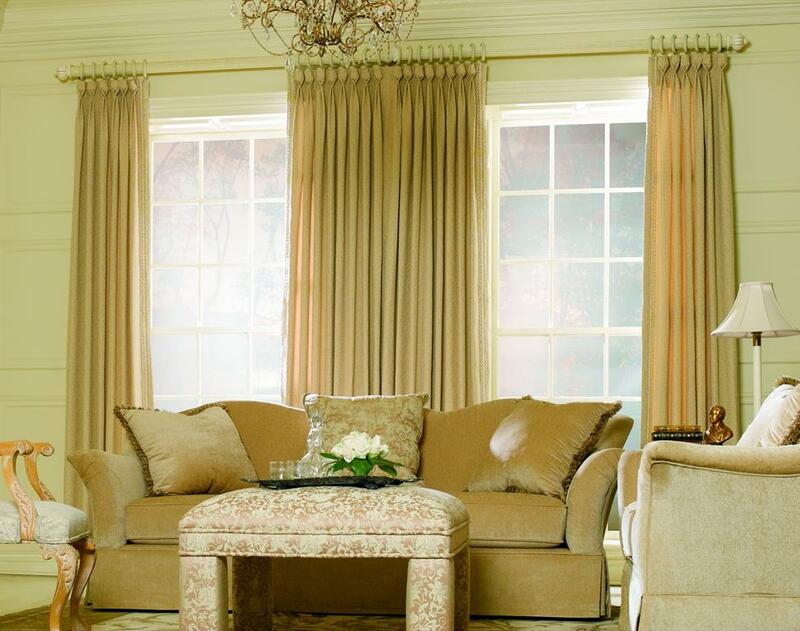 That’s why Carmel drapery styles can be found for every season – because your windows are one of the most important decorating elements in your home. So what type of Carmel drapery is best for spring? 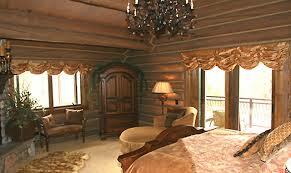 A lot of it depends on your personal style, but there are so many creative and beautiful ideas available. Obviously, the overall style of any spring Carmel drapery is based around freshness and light – the bright hues of the season’s first flowers, newly grown grass, the blue of the sky and the yellow glow of the sun. While some people embrace the season fully, with airy Carmel drapery sets in brilliant yellows and bright floral sets, others feel more comfortable decking out their windows in more subtle shades. 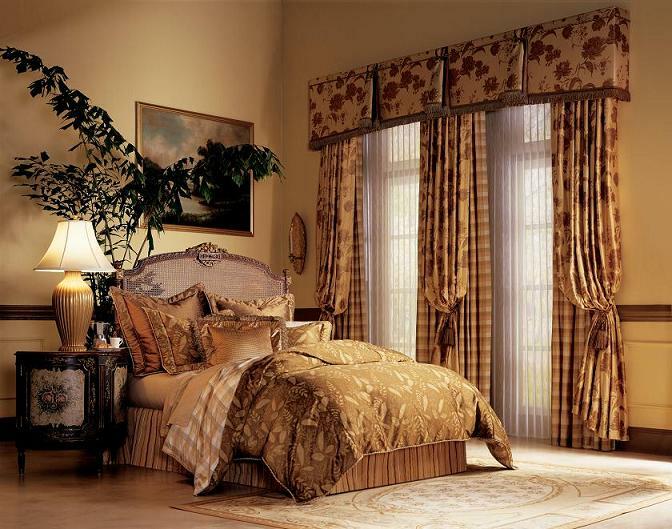 When using more muted spring colors, you can still achieve a fabulous spring effect by choosing light and airy curtain fabrics for your Carmel drapery. Chiffon, muslin, lace, organza, tulle – all of these fabrics and more can be used to allow light and fresh air better access to your interior spaces. 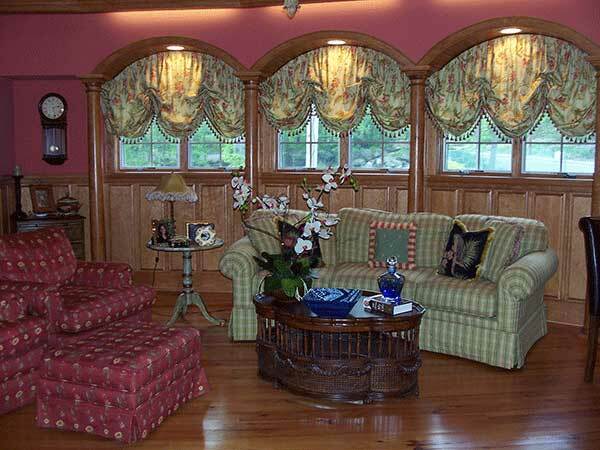 Lace, in particular, gives any space a romantic ambiance, whether it’s used as the primary curtain or simply an accent. 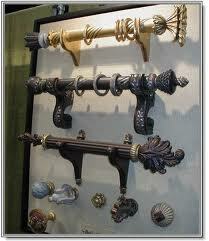 Accents, valances and hardware can also play an important role in renewing your Carmel drapery style. Flowered, jeweled or nature inspired accents, such as tie backs, are so simple, but can have a significant brightening effect in your space. 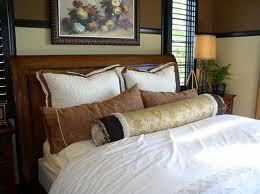 There is also a lot of room for creativity when touching up your Carmel drapery. Sites like Pinterest show creative ideas galore for windows, like tie backs crafted from silk flowers, or accents created with craft store beading. The possibilities are truly endless with spring Carmel bedding – which, in and of itself, embodies the spirit of spring. 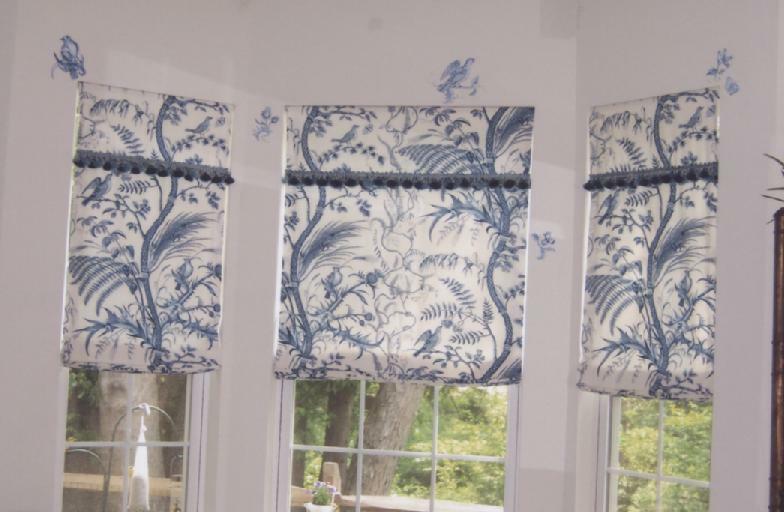 Of course, if you have trouble coming up with the perfect ideas for your windows, the Window Pros offer personalized consultations and customized Carmel drapery that uses fabric choice, color and style to perfectly complement your space. As with any home decorating, the important thing is to have fun and create a space that isn’t just what you think it should be, but something that truly reflects your unique style.